Groups in website builder WebWave CMS allows you to group elements on layers list - for example, place all header elements in "Header" folder. Group of elements helps you keep layers list neat and tidy. 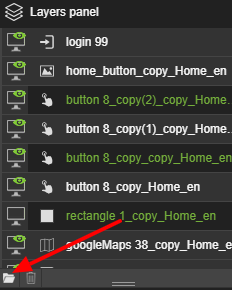 In order to create a new group, select a folder icon at the bottom of layers list. 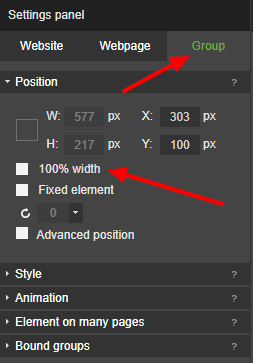 You can also select elements on a website, right click on them and choose "Group". The last way is to select elements on a website and press CTRL+G. A new group of elements will be automatically created. 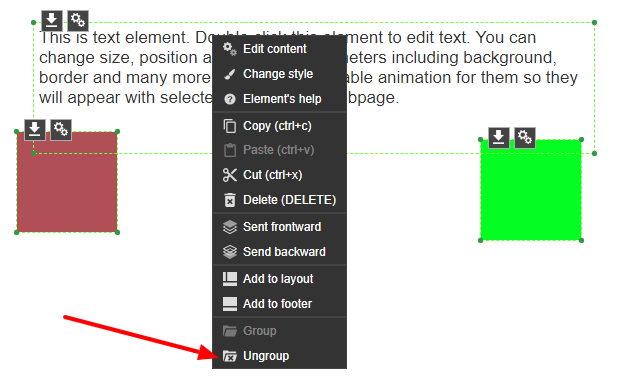 To add elements to a group, select elements on a website and drag them to a previously created group. 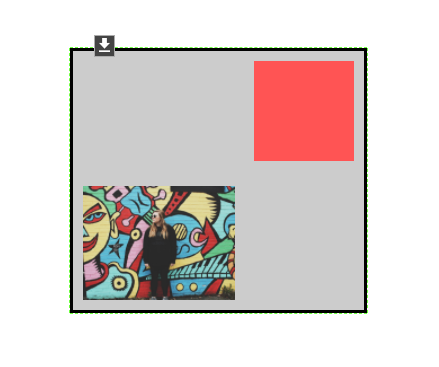 Elements added to a group can be easily removed from it by dragging an object out of a group on layers list. If you want to, you can regroup all elements at once. Select a group of elements by pressing "CTRL+SHIFT+G", right click on them and choose "Regroup". Group holds elements of your choice and its size is calculated automatically. 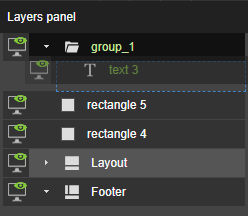 In order to see what's in the group, select it on layers list. Group of objects will have a green dotted line around. When you click on a group once, you will select it and will be able to edit its style and content. Group style can be edited just like any other element in website builder WebWave. Set background color, transparency, border, shadow and more. 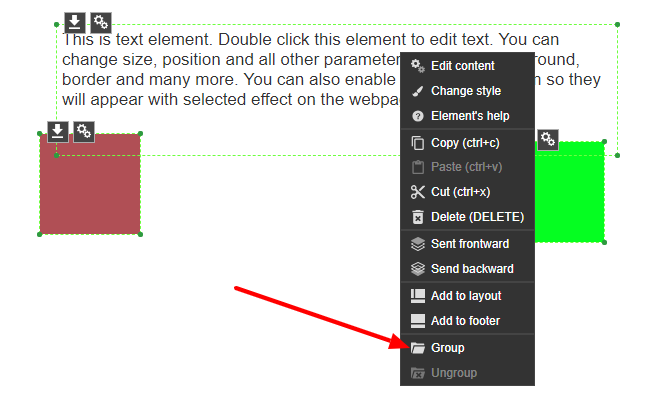 When you click on a group twice, you will be able to edit all the elements in it. When you set group width to 100%, it will act as a website section. It will adjust its width to browser width and height will be calculated depending on elements. Linking groups allows you to create a website which will adjust its style when you change its content. 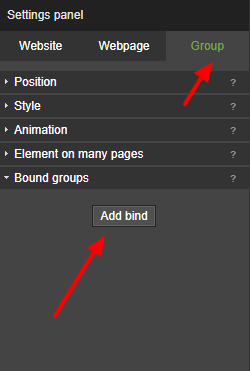 In order to link websites, select a group and in Settings panel choose "Add bind". Vertical relation is the first relation type between groups and it automatically moves groups so they don't overlap each other. What's important, if one of the groups gets pushed down, all elements in this group will get as well. Vertical relation is mainly used when you want the height of your website to dynamically and automatically adjust to its content. The perfect example of vertical relations is putting a text element in one group and an image, which needs to always stay behind the text, in another, binded one. Regardless of the amount of text, the image will always stay behind it. 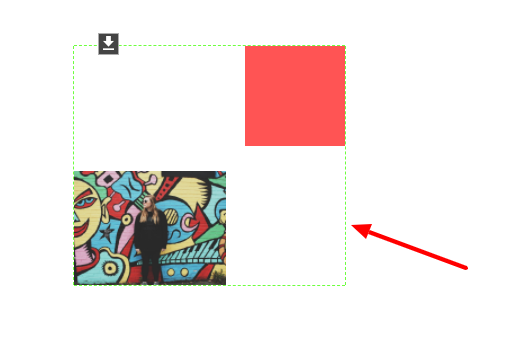 Horizontal relation automatically resizes group to the same height (only the background and border of a group are resized). It is particularly useful when creating columns, which need to always end in the same place - for example, a column with a menu on the left side and a column with content and articles in the central area. In WebWave website builder you can also bound many groups and create sections on your website.